Cook chicken in boiling hot water or on a grill until done. Once done, set aside to cool. 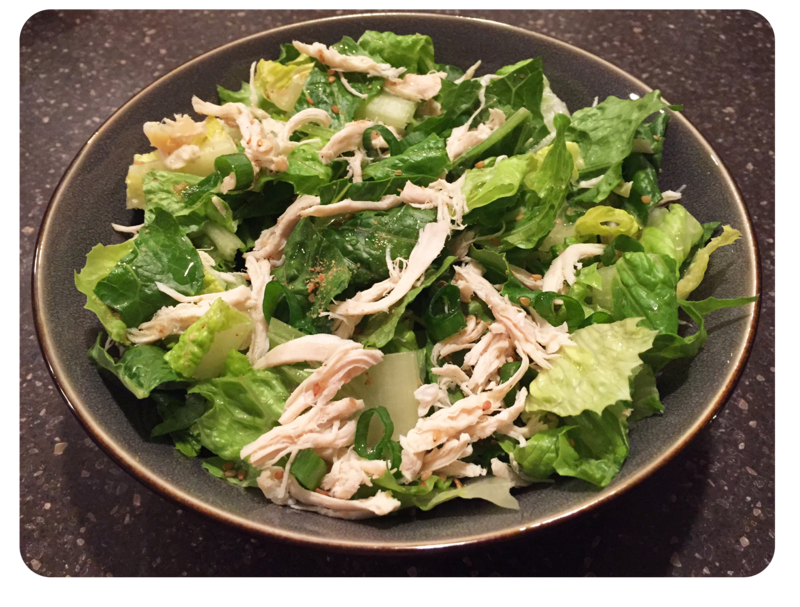 Chop romaine lettuce into bite size pieces and place in a serving dish or container. *Also fits well in a square aluminum pan. Shred cooled chicken and evenly distribute on lettuce. 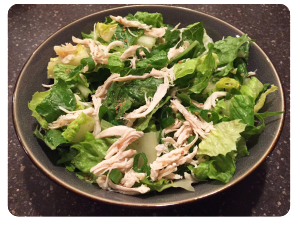 Sprinkle desired amount of sesame seeds over chicken and lettuce, then top with chopped green onions. Combine dressing ingredients in a bowl and mix well. Pour dressing into a leak proof container and chill until ready to serve. Shake dressing before pouring over salad as the oil causes ingredients to separate. *Optional – top salad with won ton chips right before serving to prevent them from getting soggy.